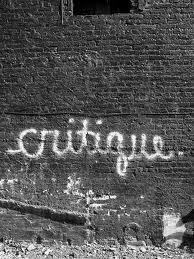 The Writers Alley: Critique Partners: How the Heck Do You Find One? Critique Partners: How the Heck Do You Find One? So, you've decided that you want to take the plunge and join a critique group. Um, that's find and good and all. But how are you going to find one? The first step is to make a list of what your own personal needs/wants are in a critique partnership. Do you want a bigger group, or just a one or two-person partnership? How much time do you want to devote to this? Do you want a local in-person group, or would an online group suffice? Do you want to "meet" to discuss at a set increment of time, or keep it informal? How often do you want to submit? What "level" of critiquers are you looking for? Once you know what you want out of a critique group, it's time to look for one. This is easier said than done. Join writer's groups, both online and locally. Many already have modules in place to help place you in a critique group. Network, Network, Network. And then network some more. Visit writer's blogs. Like them or Friend them on Facebook. Follow them on twitter. Generally, just stalk them. (just not in a creepy way, thank you very much.) Some of the BEST critique relationships are grown organically out of relationships built. Be bold. (but not too annoying.) It doesn't hurt to ask someone if they are looking for a crit group. Or, just put it out there that you're looking for one. There is a distinct possibility that someone else in your "realm" is looking for the same thing. Once you find someone interested, don't be afraid to discuss it before jumping in. Make sure your goals and expectations match. Exchange a chapter and make sure you are comfortable offering feedback. It is totally okay to say, "You know what, thanks so much for being willing to critique my stuff, but I don't think I'm the best person to critique your work." Have a trial period. Say, try it out for a month, and if it isn't working with your schedule or if it just isn't clicking, you can walk away. Granted, you can ALWAYS walk away from a critique partner, but this give you an easier out if the good-vibes just aren't there. I've gone through a few groups. The thing is: I don't regret any of them! They all served a purpose for the time I had them, and I'm a better writer for them. My first group will always be dear to my heart. They took a fledgling author that didn't know ANY writing rules and taught me the basics. They read through my whole manuscript that first year and allowed me to cut my teeth on it, so to speak. I learned about POV and adverb usage and, wow. Pretty much every elementary writing guideline there is! But eventually we outgrew each other, and some got busy, and we naturally went our separate ways. We still e-mail from time to time. 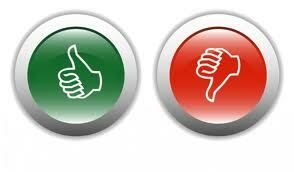 After that, I was in a group from ACFW's new critique system. The ladies in this group where fabulous, but I realized quickly that I was way in over my head. There were 5 of us submitting frequently I believe, and it was just way too many for me to keep track. I was spending more time critiquing than I was writing. In my stage of life and writing, it just wasn't conducive. Next, I tried a local writer's group. I LOVED these women, and still do, but after a few months, it was clear that while our critiques were great, timing wasn't fabulous for any of us. Then last year, I mentioned to my fellow alley-cats that I'd decided that a crit group was not for me, and would rather start looking for a crit "partner" as I felt that, since I was now contracted and agented, I really didn't have time for much more than that. Low and behold... Sarah, my fellow alley-cat, e-mailed me, saying that she'd been looking for a crit partner too! She already had one, but was wanting to add one more separate partner. I said, YES YES YES! Well, first we talked about what we wanted out of the group. We both didn't want "a chapter a month" but to be able to send larger chunks as needed, and to be flexible. We wanted to be able to brainstorm ideas and just in general be a support to each other. It was a match made heaven... er, the alley! Discussion: Do you have a crit group/partner? How did you find one? Are you currently looking? So, so much to say about crit groups and crit partners ... but I won't. I'd have to run a series of comments . . . But I do have one crit partner, Scoti. We've stuck together through thick and through thin (and I mean that in the biblical sense.) We trust one another, we believe in one another, we are here for one another, not just as writers, but as women. And that, I've found, is rare -- for a crit partner to become a treasured, lifelong friend. I found my critique partner in the Absolute Write forums. There was a bit of luck involved, I think -- I'd advertised there, and a few people volunteered to trade first chapters with me. I didn't really click with anyone until I traded chapters with an unlikely person -- a 70+ year old retired English professor who writes mysteries and has the exact opposite political viewpoint as I do. Maybe our partnership works *because* of the age, gender, and political differences. I don't know -- but he's an excellent proofreader and editor, and he's never a jerk about suggesting edits (although he never holds back either). And he claims I'm the best crit partner he's ever had, so I guess we're both pretty thrilled to have found each other. Beth... There IS a ton to say about Critique partners!! And YEAH for finding a good one!!! It's fabulous when it just "clicks" like that! Nicole... maybe the whole principle of opposites attract?? How fun that you found someone that does such a great job! You'll get a great perspective on your writing! I have partners. Love each one and feel so blessed to have their amazing feedback. I've got a small writer's group that some friends at my old job started. Since I don't work there anymore, I'm not sure how that will go from now on. Your advice is very helpful! To me, it's important to find someone who is as serious about writing as I am, and at about the same "level" of writing as I am (so we can be mutually beneficial to each other). I do believe you two found a great match in one another! I do declare. Okay, it's Friday...I'm acting goofy. Being open and honest is sooooo important in a crit partnership. Boy can this be a dicey topic. It's almost EASIER to not know all the "rules" of a critique partnership before going into it and learn as you go. Almost. But not quite. Casey, I think that is the point. There are no "rules" of a critique group. The point is that it needs to fit the needs of its members. And every one of us has different needs, different styles, and different personalities. What fits for one might not fit for another. The key is to be flexible, to be kind, and to discuss goals and things up front. I've been looking for one recently. I guess the problem with finding people online (without lettting it organically grow through blog/twitter etc) is that you don't know whether to trust them and their opinion. I guess in a critique partner I want someone I can admire but also be able to give something back. PS: Thanks for the advice. I'll keep trying - and perhaps even ask on my blog. Freya, I think you can tell a lot from a persons own writing as to how it will be. Perhaps if you find one who is willing to explore the opportunity, you each send a sample chapter. Just because you come back with, "Uh, I don't think this is gonna work out" doesn't mean you hate their writing, or their critique. Sometimes there isn't that "click." Think of it as a date without a committment, and at the end you say, "ya know, I just don't think we have a future here..."
Great advice, Krista! For me, it was important to find someone in the same genre because I felt like I could offer better critiques in return. But I know there are plenty of mixed-genre writers who keep long-term crit partnerships, and they're successful. I have so enjoyed this series, Krista. I have enjoyed the big and small crit groups. But it would be nice to have one person like Beth mentioned to grow a friendship. If people are looking for a critique partner, I'd definitely recommend praying for a good fit. That's what I did (for mentors as well), and God was faithful to direct my path toward the right people. Ashley! I TOTALLY agree! Praying for a good fit is #1. And I think, too, that when you haven't found a good fit, not to get frustrated, because God's timing is perfect. It may just not be "time" yet!